Tony is Professor of Cancer Biology at the University of Cambridge, Deputy Director of the Gurdon Institute and Director of the Milner Therapeutics Institute. Tony did his PhD at the University of Cambridge and postdoctoral work at MRC Laboratory of Molecular Biology on the cancer-inducing potential of human cytomegalovirus. He then went to NYU Medical Center in New York where he worked on the c-Fos onco-protein and the characterisation of the leucine zipper. He returned to Cambridge to lead a research group at the Gurdon Institute. 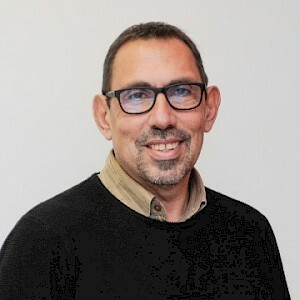 Tony is part of the Executive Board of the Cambridge Cancer Centre and on the Scientific Advisory Board of two Institutes on Spain (CRG in Barcelona and CABIMER in Seville). He is the founder and director of a cancer charity based in Spain, Vencer el Cancer (Conquer Cancer), which raises funds from the Spanish public to fund research on cancer. Tony is a co-founder of Abcam plc (a publicly trading research reagents company) and a co-founder of two UK-based cancer drug discovery companies, Chroma Therapeutics (based in Oxford) and STORM Therapeutics (based in Cambridge). Tony’s research team is interested in the role of epigenetic mechanisms in the development and maintenance of cancer. A particular area of focus for the lab is the role of RNA and Chromatin modifications, and their regulation and interpretation by epigenetic writers, readers and erasers. Chromatin is decorated with many different types of modification on histones and on DNA. These can potentially affect any biological process. An even larger set of chemical modifications has been identified for RNA. Tony’s lab is involved in identifying and characterising modifications of histones, DNA and RNA, primarily concentrating on their role in transcription and translation. Our interest is fuelled by the fact that many of these modification pathways are deregulated in cancer. We are keen to understand how mis-regulation generates uncontrolled cell growth and in finding small molecule inhibitors that can target the damaged pathway in cancer cells. Tony’s research group identified one of the first enzymes that modify chromatin, the acetyltransferase CBP. His lab has also discovered many other chromatin modification pathways including deimination, proline isomerisation and tyrosine phoshorylation and glutamine methylation. His group identified HP1 as a protein that binds to methyl-lysine 9 on Histone H3. Many links between epigenetic modifications and cancer have been demonstrated by his group. Most recently, a small molecule inhibitor, I-BET, has been shown to be effective against epigenetic pathways leading to MLL-leukaemia. This I-BET compound is currently in clinical trials. Eric is the Herchel Smith Professor of Molecular Genetics and a Senior Group Leader at the Gurdon Institute at the University of Cambridge. He has an appointment as associated faculty at the Cambridge Systems Biology Centre and the Cancer Research UK Cambridge Research Institute. Eric was an EMBO Young Investigator and is a full member of EMBO since 2012. Eric is the 2013 recipient of the Hooke Medal awarded by the British Society of Cell Biology. 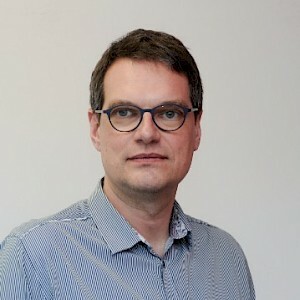 He joined the faculty of the Wellcome Trust Sanger Institute in Hinxton in 2014 and is a Senior Investigator of the Wellcome Trust. Eric studied mathematics, physics and biology at Heidelberg, Berlin and Mainz and holds a BA in Biochemistry from Trinity College, Dublin. He received his PhD in Pathology from the University of Cambridge, UK, in 2000, working with Professor Tony Kouzarides, and was a postdoctoral fellow in the laboratory of Nobel laureate Bob Horvitz at the Massachusetts Institute of Technology, Cambridge, MA, USA from 2000 to 2004. He started his own research group at the Gurdon Institute in 2005. Eric’s research team at the Gurdon Institute in Cambridge is interested in all aspects of gene regulation by non-coding RNA. Current research themes include: miRNA biology and pathology, miRNA mechanism, piRNA biology and the germline, endo-siRNAs in epigenetic inheritance and evironmental conditioning, small RNA evolution and the role of RNAi in host pathogen interaction.